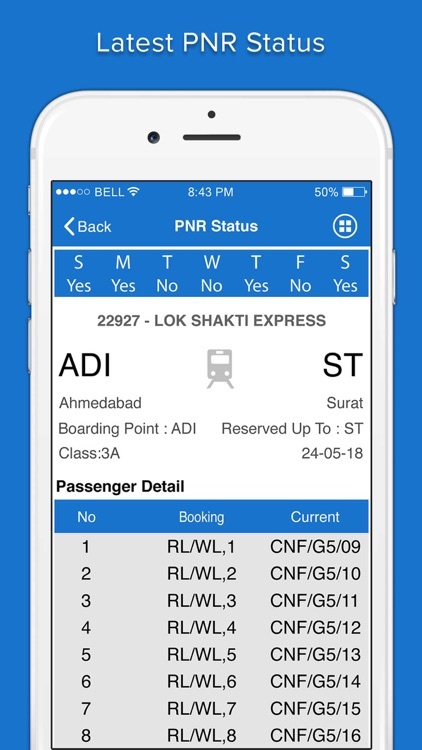 PNR Status - Train Time Table has just got a lot additional information now check running status of your train. 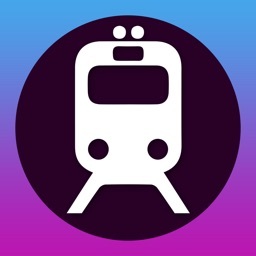 Indian railways app is the fastest, simplest and a very light application to find every necessary information about live train with cool native interface. 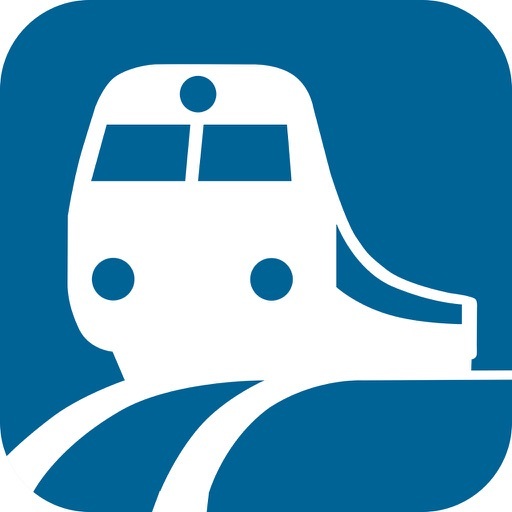 You can get the train status regarding current delays and position at any point of time while in or before journey plus you can get info like availability and schedule. Features of PNR Status - Train Time Table. 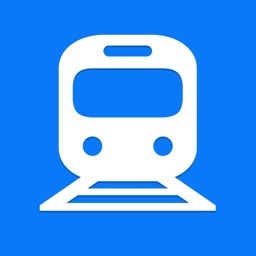 # Get live train status for any train. # Check arrival & departure timings for your frequent used trains. # Stay updated with PNR status changes and chart preparation status. 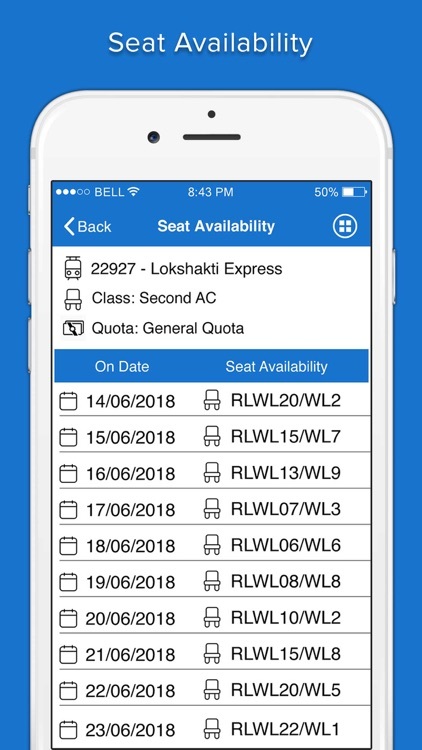 # Easily check seat availability for your train. # Know fare for various categories. 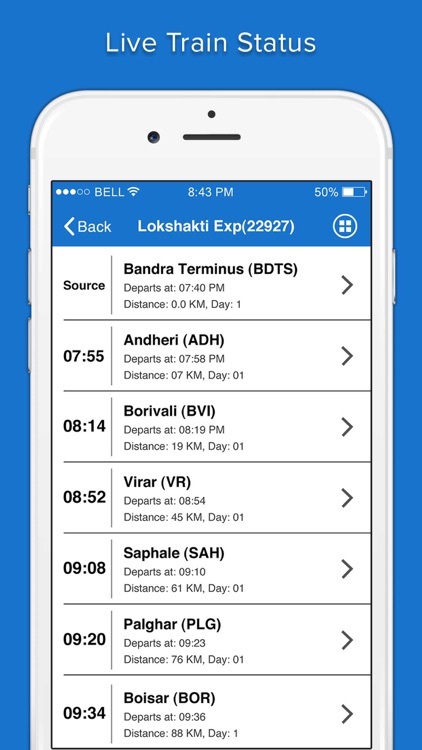 # Find trains between any stations. 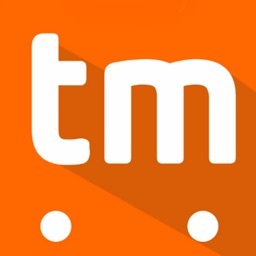 # Find platform of your train without waiting to enter station. 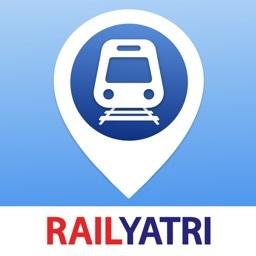 # Get complete information about upcoming railway station or any Station. 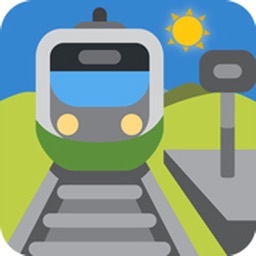 PNR Status - Train Time Table app share live status time tables and trains between two station with dynamic links from the app which will show upto date information when received. 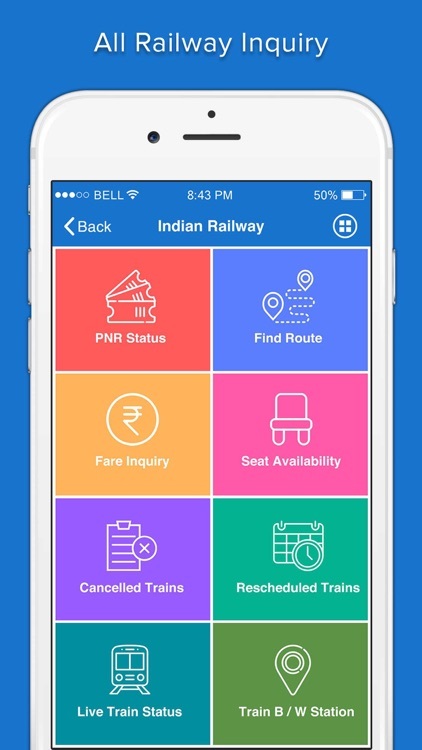 It has a rapidly growing fan base among Indian train travelers and is the highest rated travel app in India. 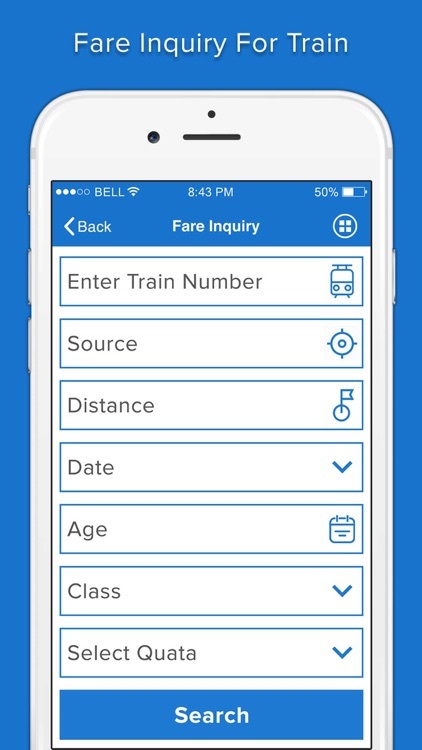 Smart search allows you to use train source & destination or partial train names even with spelling errors. Get your answers to all rail enquiries and information on Indian railways with just a few clicks. With it you can Indian railways train enquiry & get live train schedule. Download and give us a review for PNR Status - Train Time Table.